Using the DJI Spark , I flew over the Paranormal hot spot , Skinwalker Ranch . this was a 16,000 + feet flight in distance at about 150 feet high . I do not recommend this flight to anyone. The Uintah Basin/Sherman Ranch (Skinwalker Ranch) case. This episode will feature new information and up-to-date analyses of these enigmatic events that continues to baffle scientists and researchers of paranormal events. UFOs, crypto-creatures, cattle mutilations, portals, native legends, a shadowy billionaire, melted dogs and rumors of fire-fights with aliens. Our guests include investigators David Weatherly and Ryan Skinner. We’ll also present “Chip,” a Sherman Ranch insider, who will offer exclusive details. Over the years, I’ve investigated a fair number of cases in the Uintah basin. It’s an area I always found intriguing and I’m often asked about my experiences there. For the amount of activity that can be found in the region, very little has actually been written about the ranch and the surrounding area. 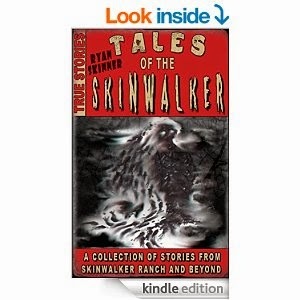 The main exception being the 2005 book, “Hunt for the Skinwalker” by Colm Kelleher and George Knapp. Their intriguing tale includes accounts of strange lights and a bullet proof wolf. It’s been a constant seller since its release and served to clue many people in on the unusual events in Utah. Enter Ryan Skinner. Ryan started digging into the weirdness on the ranch back in 2008. His interest grew to the point that he started a forum and website dedicated to the mysteries occurring there. Frankly, Ryan became obsessed with the ranch, and that’s by his own admission. Having common interest, Ryan and I became friends and his internet focus on the ranch certainly stirred the pot. The ranch you see, in case you don’t know, is the property of billionaire Robert Bigelow. The same guy currently building space platforms for private ventures off planet. Bigelow has kept a tight lid on the ranch. Trespassing is strictly forbidden and violators will face charges if caught. But even though you can’t stroll onto the property, you can indeed learn more about the events that have unfolded there thanks to Ryan. He’s written a series of books detailing both his personal experiences, as well as some of the curious things he’s uncovered over the years about the ranch. While he currently lives in the Midwest, Skinner still makes regular pilgrimages to Utah to further his field investigations. Camping out and exploring areas around the Uintah basin, probing the mysteries of this portal area and fact finding as much as possible. weird events. The burning questions that haunt many of us in the paranormal certainly seem to drive him to continue his quest for answers. But, as is usually the case in this field, there are more questions found than answers, and that’s okay. It’s the questioning that leads us to deeper levels of understanding, and that’s a big part of the value of Ryan’s book series. Ryan's obsession with the ranch is paying off for the rest of us. He's probably spent more time exploring the mysteries of the region than any other dedicated investigator. I won’t give away details on his books, rather, I encourage you to read them yourself. But I will say, if you’re interested in the ranch itself, or portal zones where weird phenomena is concentrated, you’ll enjoy Ryan’s work. He puts you there in the basin amid the weirdness, and you’ll get bits of his personal journey as well. 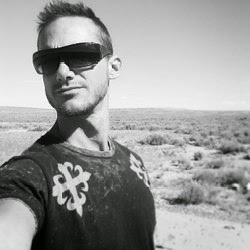 No, he doesn’t claim to have solved the mysteries of Skinwalker ranch, but it would be very suspect if he made that claim. Rather, like any good researcher of the strange, his writing encourages others to join him on the quest. Personally, I look forward to seeing what Ryan continues to dig up about one of the strangest regions in the country. So what is going on here? Inter-dimensional visitors from the Otherworld? Advanced military projects? Extraterrestrials? Black magic? Spirits of the land? We live in a more unusual world than most of us ever really notice. The type of incidents detailed in this documentary occur the length and breadth of our island and planet and have done arguably for as long as we have existed. This is a classic piece of citizen investigation. Strange lights in the sky, people disappearing, big cats stalking the landscape, werewolves in the woods, fairy folklore, little humanoid creatures, this is high strangeness galore! The veil between worlds seems to be very thin in this area of East Yorkshire.